President Donald J. Trump unloaded today on the mainstream media for contributing to the dilapidated state of trust in America's institutions and his administration, saying that 90% of the coverage was negative, which has put the lives of many at risk. The 90% figure is corroborated by two studies, one taken in 2017 and one taken in 2018, conducted by the Media Research Center which "studied all broadcast evening news coverage of the President from January 1 through April 30, and found 90 percent of the evaluative comments about Trump were negative — precisely the same hostile tone we documented in 2017." As noted MRC's Richard Noyes, President Trump's approval ratings actually increased during 2018. In order to conduct the study, MRC "examined all 1,065 network evening news stories about President Trump and top members of his administration during the first four months of this year. The coverage totaled a whopping 1,774 minutes, or roughly one-third of all evening news airtime." The Washington Post recently noted that number may be inflated, citing two polls that showed only 62% of media coverage of President Trump is negative. Still far higher than his predecessors. But, it is unclear whether that polling included news coverage of any member of the administration as well. President Trump's torrent of tweets come after announcing this morning that he met with A.G. Sulzberger, the publisher of the New York Times, to discuss fake news and rhetoric. But, as Rich Noyes notes, "There’s no precedent for a President receiving such a sustained level of negative press over such a long period of time. 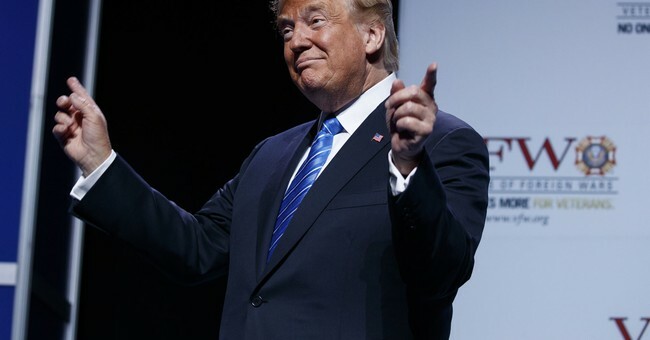 The fact that the public has become more favorable towards the President in this environment is the latest sign that the media watchdog’s bite isn’t as menacing as their bark suggests."